Day 5 at the SERRES RALLY 2017 means marathon stage, taking the riders for a two day adventure through Bulgaria. First day of the marathon lead the riders thought the fairy tale dense forest and then to the mountain top of Belles. 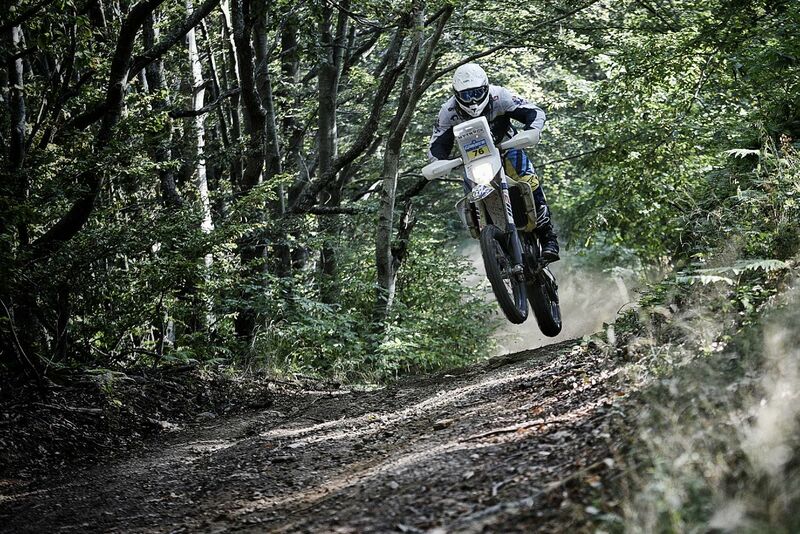 The concentration of riders through the dense forest stage of SS5 was at the maximum level as they made their way through tight unforgettable forest paths and into SS6 which lead them to the top of the mountain. The view from the top was spectacular, giving the impression you are on top of the world, just riders, bikes and the clouds. The riders had a 360⁰ view which overlooked Lake Kerkini on the left to the fields of Bulgaria on the right. After SS5 and SS6 first to finish the stages on day was #1 Stefan Svitko with a 2:40’02” (KTM XC 450). 2nd was #45 Paul Spierings (KTM EXC 450) with a 2:52’32” and 3rd for the day was #76 Txomin Arana (HUSQVARNA FE 501) with a 2:53’13”. In class 1 #20 Carlo Augusto Cabini (Class 1) was first once again and in class 2 #32 Andrea Zambelli finished on top in his class. In class 4 the fastest on the stage was #76 Txomin Arana for another day in a row and in class 5 the quickest again was #93 Stanislav Pavelka. In the Veteran class #9 Jan Zatko took the top time today. In the women category top time for a second day running was #11 Polytimi Kyriakopoulou (YAMAHA WR 450 F). 2nd was #12 Gabriela Novotna (KTM EXC 450) and 3rd was #13 Tanja Willmann (KTM EXC 350F). Tomorrow the marathon stage continues and heads in to the 66km SS7 Slavianka and the SS8 E6 stages.